Your college dorm room is too small to have dorm essentials that only have one function. The best college supplies for your dorm room are multi-purpose and compact. 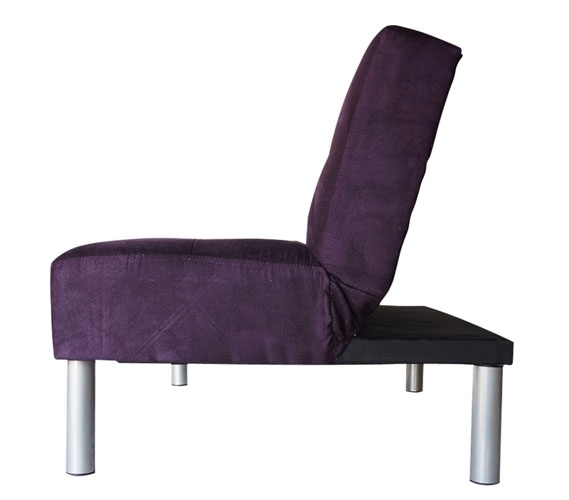 However, your dorm room also lacks soft dorm seating. How can you have multi-purpose compact dorm room seating? With a small futon for dorm rooms, of course! College Mini-Futons are perfectly sized to sit at the end of your dorm bed or along your dorm room wall without taking up a lot of dorm room space. Our College Mini-Futon is in a gorgeous plum color to add beautiful style to your dorm room decor without being an overly loud color. 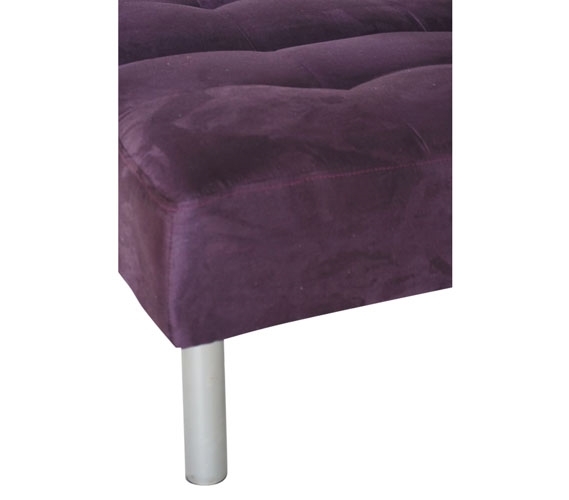 Plum is an easy color to match dorm essentials with, so you won't have to worry about having dorm room seating that will clash with all of your other college supplies. 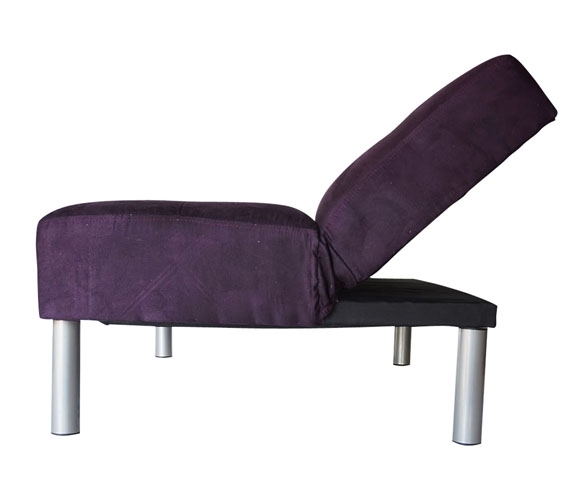 Our College Mini-Futon in Plum can be placed in three positions- standard upright, tilted back for lounge, or it can be reclined fully for the bed position. When you have friends and family visit, you need more dorm room seating options than your dorm bed, college desk chair and floor which makes having compact college furniture ideal. 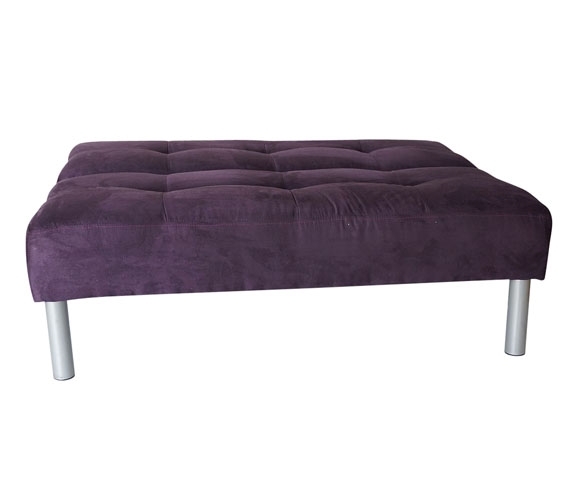 This small futon for dorm rooms won't take up much space but it will seat more than one person. Plus when you come back from class you want comfortable dorm room seating options to relax in. 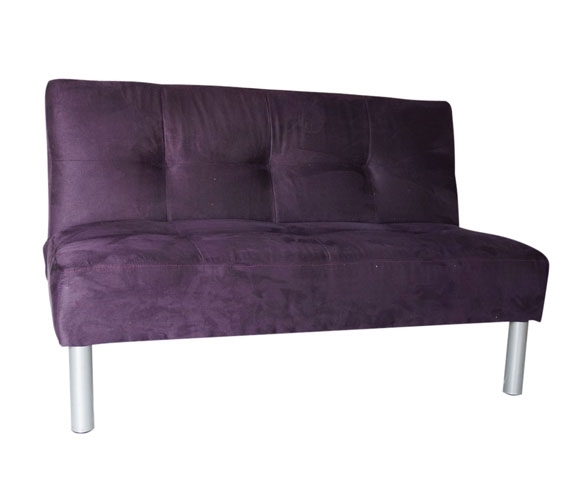 Our College Mini-Futon in Plum is super comfortable with inner foam and outer cover made of Ultra Plush Microfiber. 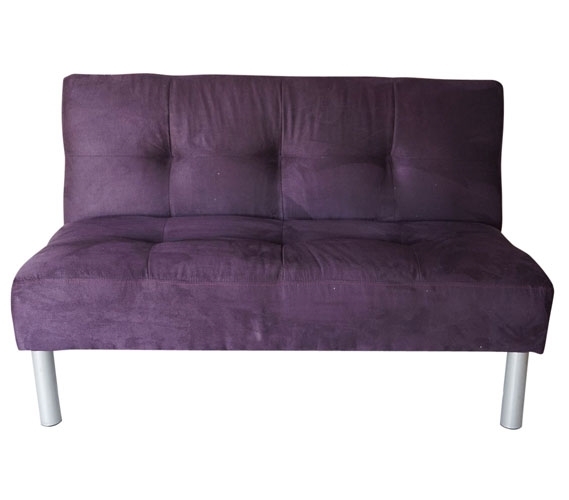 If you want to relax in soft dorm seating after class, this is what you want to relax in for ultimate comfort!